Laureate Professor John Aitken is a world leader in the area of reproductive biology and biotechnology, heading the Priority Research Centre for Reproductive Science and co-directing the Pregnancy and Reproduction program at HMRI. Laureate Professor Aitken’s research focuses on the biology of mammalian reproductive cells (germ cells) and in particular, the largely neglected aspect of male reproductive health. From the generation of male sperm cells through their growth and development and acquired ability to successfully fertilise an egg, Laureate Professor Aitken has pioneered our current understanding of male reproductive efficiency. Research from Laureate Professor Aitken’s laboratory has identified critical factors that affect male sperm cells and potentially alter reproductive health including oxidative stress (damage caused by reactive oxygen species) and DNA damage. Laureate Professor Aitken has also developed several commercial patents including a new method of separating sperm for assisted reproductive technologies (ART) to increase the chance of a successful pregnancy, which is being manufactured and trialed through biotechnology company NuSep. Another focus of Laureate Professor Aitken’s work is to develop more effective methods of contraception. Each year, more than 120 million couples will not have their contraceptive needs met and therefore the need for safe, affordable and effective contraceptives is growing. Laureate Professor Aitken’s group aims to develop male and female contraceptives that are capable of paralysing sperm so that they're unable to fertilise an egg. This group also aims to develop contraceptives that are simultaneously lethal to a number of sexually-transmitted diseases, which is of great need in developing countries. 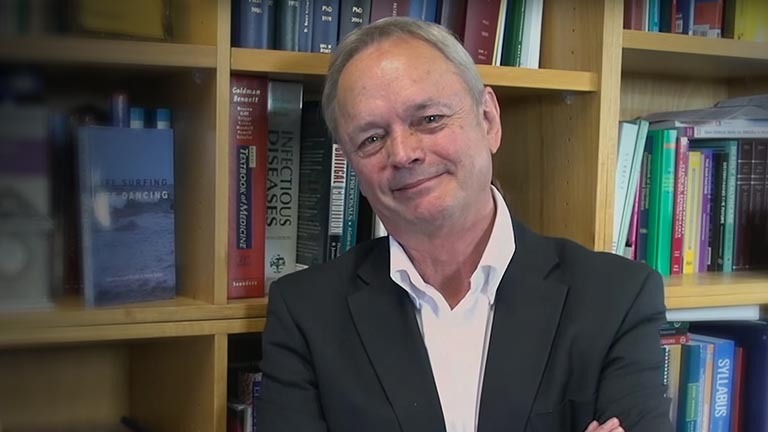 Laureate Professor Aitken says that one of the most pressing challenges for reproductive scientists today is understanding the causes of male infertility and how the qualities of the male and female gamete collude to influence the health and wellbeing of the offspring. He has published more than 500 scientific articles and has been cited more than 28,000 times during his career, highlighting the significance of his research to scientists in the field. He has delivered many prestigious and influential presentations including the Founders Lecture in 2004 (the most coveted award from the Society of Reproductive Biology), the Yanagamachi Lecture (the most prestigious award from the European Academy of Andrology) and the Simmet Prize offered by the International Congress on Animal Reproduction. Laureate Professor Aitken was announced as the 2016 recipient of the prestigious Carl G. Hartman award, which recognises a researcher’s outstanding career and scholarly activities in the field of reproductive biology. The prize is the Society for the Study of Reproduction's highest award and only once before in 47 years has it been bestowed to a scientist working outside of North America. Laureate Professor Aitken was also heralded as NSW Scientist of the Year in 2013 and received the HMRI Researcher of the Year Award in 2005. He gained an Honorary Professorship from the University of Edinburgh in 2007.